Many of my students are interested in using harp for healing purposes​​​, either as a therapeutic outlet for themselves or to bring relief to those in pain. For these students my teaching style is a little different than that which I use for those students aspiring to play in an orchestra. from both the Salzedo and Grandjany methods to bear when establishing hand position and practice habits. I also place great emphasis on the skills required to be a good ensemble player. I think many harpists see themselves as primarily soloists and neglect the importance of good ensemble training. My college students are all required to do a certain amount of playing with other local musicians. Another priority is improvisational,compositional, and arranging skills. Today's working harpists frequently are asked to play from piano or guitar parts, especially in the arena of playing for weddings and receptions. An understanding of how to make such music workable for the harpist as well as enjoyable for the audience is a must. Additionally, I iencourage all my students at least attempt to improvise and compose. Improvisation is a vital tool for both ear and rhythm training. It also allows a musician to think as not only an interpreter of other people's music but as a composer. This different point of view often lends a greater depth of understanding when performing all kinds of music. It allows the performer to see music from "the inside out" as it were. ​​Additionally, I have over twenty years experience in performance coaching and offer many techniques to conquer nerves and enhance musical interpretation on any instrument. I take my teaching very seriously and do all within my power to contribute to my students' growth, not only as a harpist but as an all around musician. 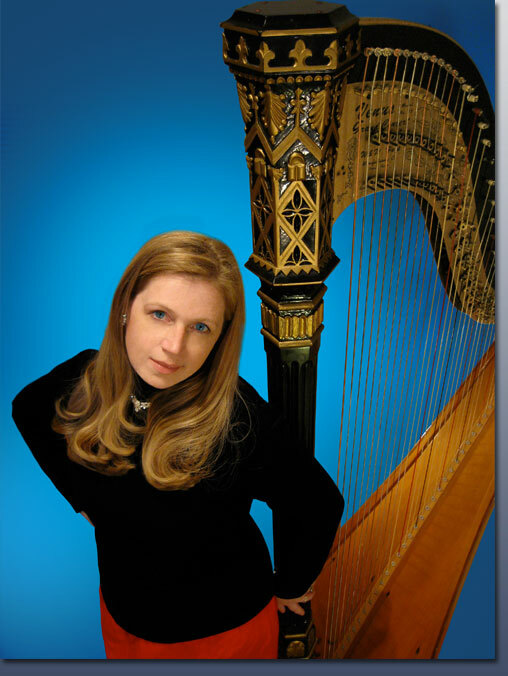 I teach all levels from child and adult beginners to college students aspiring to become professional harpists. For information on the harp program at the University of Wisconsin Parkside click here. I ​​​ also maintain a private studio in Kenosha and am available for masterclasses. My background is in both Salzedo and Grandjany technique. I also have a strong background in improvisation and arranging.